Every day at sunset, members of the Indian Border Security Force and Pakistani Rangers lower their respective country’s flag in front of thousands of cheering and jeering spectators. A humorous display of military tradition and might proceeds the actual flag lowering, along with music, dancing and races. While sandwiched in between thousands of Indians on the road leading to the Wagha Border Ceremony, I spotted a sign with a full history of the Attari/Wagha border between India and Pakistan. All grammar errors and broken English appear exactly as written on the sign. 1. India and Pakistan were divided on 15th Aug, 1947. 3. Wagha is a small village in Pakistan approx 1km away from International Boundary. 4. Historically, village Wagha was the Jagir of Jagirdar Sham Singh of Attari, an important general of Maharaja Ranjit Singh. 5. Before partition Lahore and Amritsar were the trade centers of the then undivided Punjab. 6. JCP Attari and Wagha located almost equidistant from Lahore and Amritsar. 7. National Highway No. 1 join both the countries, which is also known as Sher Shah Suri Road and Grand Trunk Road. 8. Check Post was established near BP No. 102 on Grand Trunk Road after partition. 9. 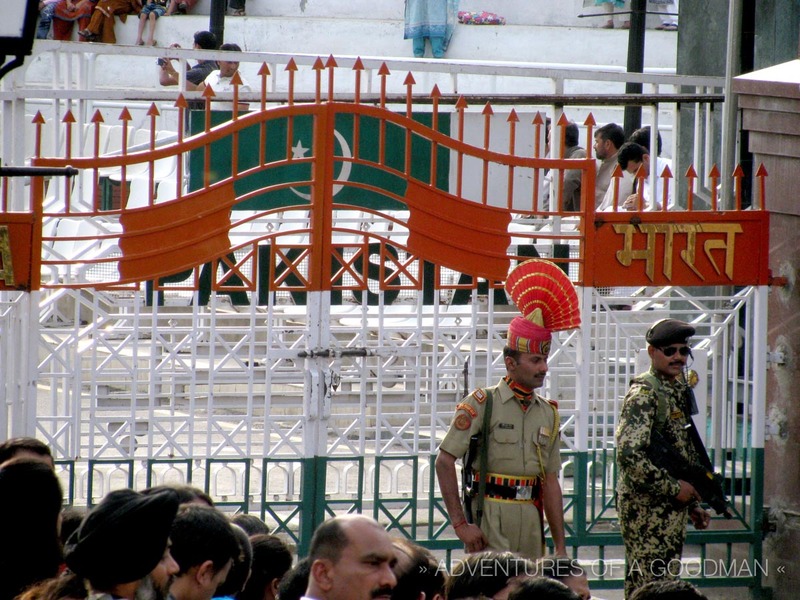 In 1947, Indian Army was entrusted the responsibility of ensuring security of the Check Post. 10. Initially, the Kumaon Regiment of army provided first contingent to man the Joint check Post. 11. First Flag hoisting ceremony was witnessed by Brig Mohinder Singh Chopra on 11th Oct, 1947. 12. Narinder Singh and Choudhary Ram Singh the then DC and SP Amritsar were also associated in the establishment of JCP at Attari/Wagha. 13. During mid-1950s, JCP was taken over by Punjab Police. 14. First retreat ceremony of its kind was started in 1952. 15. 1st Dec, 1965 Border Security Force (BSF) took over the responsibility of JCP Attari and ever since retreat ceremony being held daily. 16. Ceremony was discontinued during hostilities between India and Pakistan in 1765 and 1971 for some time. 17. On an average 15 to 20 thousands of spectators from all corners of the country every day visits to JCP Attari and witness the retreat ceremony. 18. 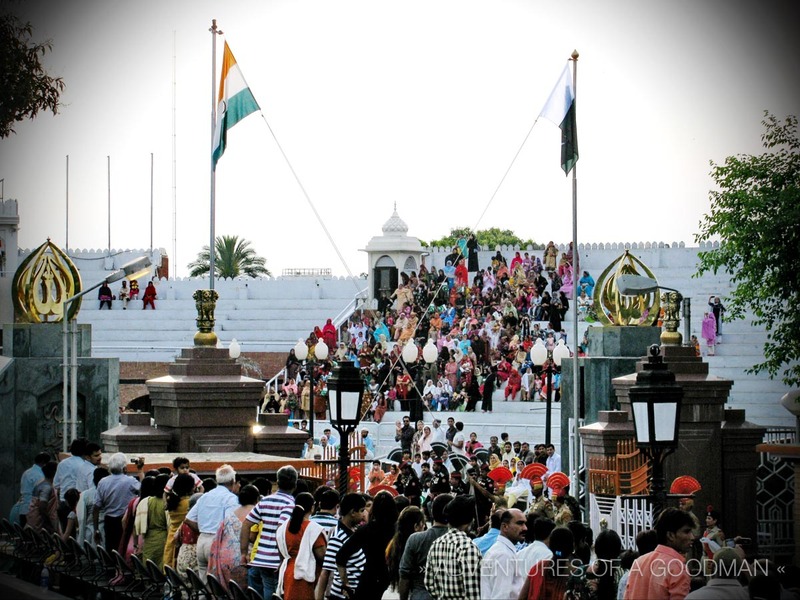 Largest numbers of foreigners also visit at JCP on a daily basis for witnessing the ceremony.